When you were a child you probably played the game of hide and seek. As an adult, you may have tried to play some version of that game with God. MailChimp is a company that is focused on email, and their website says: “MailChimp helps you email the right people at the right time.” In 2013 the company studied 24 billion successfully delivered emails, and they discovered the power inherent in one word. When the word “urgent” was in the subject lines, the emails were much more likely to be opened. Words like “urgent” will jolt most dolts out of their daydreaming existence and back to reality. This type of charged language, unless overused, can effectively capture the attention of the intended audience. “Praise” and “worship” are two of the feel-good-words associated with the church today. These are important features of a person’s relationship with Christ, but they are meaningless unless you attend to the urgent need to repent of your sin. People don’t mind focusing on the failures, faults and sins of people they know, but they start to back-peddle and say, “Don’t meddle” when it comes to their personal need to repent. The weather was nice enough yesterday that I tinkered with my boat. The sunshine and warm air had me thinking about my dad. He introduced me to fishing as soon as I could walk, and he taught me to set limb-lines to catch catfish. Unsuspecting people can be duped and led into a phony relationship with romantic overtures. The innocent are manipulated by someone who is more cavalier than sincere. 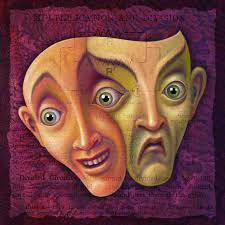 They have embraced a two-faced rascal who is blinded by a single-minded desire for self-gratification. This is the month to talk about two-faced catfishing rascals. January is named after Janus who was the two-faced Roman god of gates and doorways. Janus looked in opposite directions, and the month of January looks back on the old year and forward to the new. Hypocritical people are two-faced or “Janus-faced.” Jesus had a great disdain for the two-faced tactics of the religious leaders of His day. I count myself fortunate to have been a teenager during the heyday years of the muscle cars. The Pontiac GTO, the Ford Mustang, and the Chevy Camaro were some of the hot cars of the day. These cars have been replaced by their more fuel efficient cousins. The throaty roar of the muscle car was lost in the quest to gain more miles to the gallon of gas. Car enthusiasts wear a short lived smile when they hear the roar of their sports car. The much-loved iconic growl is the source of a sardonic scowl when the driver learns the noise is fake. When the Beach Boys sang about their beloved “409,” part of the love affair was the full throttle roar of the engine, and to replace it with a synthetic sound is like substituting Spam for a T-bone steak. I say this so that no one will mislead you with arguments that merely sound good. You received Christ Jesus the Lord, so continue to live as Christ’s people. Sink your roots in him and build on him. Be strengthened by the faith that you were taught, and overflow with thanksgiving. Be careful not to let anyone rob you of this faith through a shallow and misleading philosophy. Such a person follows human traditions and the world’s way of doing things rather than following Christ (Colossians 2). Next time you fire up your engine, listen carefully: Is it the seducing sound of a real Deuce Coup, or is it just a synthetic scam? As I was driving to the coffee shop this morning, I noticed several joggers out for their morning run. As I waved them through the intersection ahead of me, I thought of several places where Paul speaks of running. Do everything without grumbling and arguing, so that you may be blameless and pure, children of God who are faultless in a crooked and perverted generation, among whom you shine like stars in the world. Hold firmly to the message of life. Then I can boast in the day of Christ that I didn’t run or labor for nothing. But even if I am poured out as a drink offering on the sacrifice and service of your faith, I am glad and rejoice with all of you. In the same way you should also be glad and rejoice with me. I Timothy 6:10-11: For the love of money is a root of all kinds of evil, and by craving it, some have wandered away from the faith and pierced themselves with many pains. But you, man of God, run from these things, and pursue righteousness, godliness, faith, love, endurance, and gentleness. What is my goal in running? I Corinthians 9: 24-25: Don’t you know that the runners in a stadium all race, but only one receives the prize? Run in such a way to win the prize. Now everyone who competes exercises self-control in everything. However, they do it to receive a crown that will fade away, but we a crown that will never fade away. Hebrews 12:1: Let us lay aside every weight and the sin that so easily ensnares us. Let us run with endurance the race that lies before us. To some people, just the mention of “fear” can be a scary subject. I know some people who fear every formidable phobia known to man. In the times I’ve paused to give some thoughts to the subject of fear, a couple of questions come to my mind: If you are not fear-full is it because you fear-less, and if you fear-less is it because you are faith-full? Fear not, for I am with you; Be not dismayed, for I am your God. I will strengthen you; I will help you; and, I will uphold you with My righteous right hand. When you focus on the things that are right, your fears are left. When you put your fears behind you, you can focus on what’s before you—the process and the goal that will move you forward. You learned a lesson a long time ago that you may forgotten: No one learns to walk without falling. What did you do when fell? You got up; you stumbled around; and, eventually your coordination improved, and you walked. You did not let your fear of falling doom you to a life of crawling. Whatever failure you have experienced and whatever fear you may be facing, get up and go again. Trust in God: He will give you the strength and help you need. Today, there is little connection between last names and occupations. At least here in the USA, your name might be Butcher, but you could make your living as a Baker or Candlestick-Maker. When we think of identifying someone, we are more likely to think of the characteristic or physical feature that best defines the person. If you were to be identified by a spiritual feature, what would distinguish you from the rest of society? In Acts 11:26, a person’s relationship with Christ set him apart from the rest of the community. The city of Antioch was the first place to call the avid followers of Christ, “Christians.” Instead of focusing on what divided them, these Christians chose to identify with the love that united them. No longer would they be called Jew or Gentile, but from this point forward they identified themselves as Christians. You are a chosen race, a royal priesthood, a holy nation, a people for his own possession, that you may proclaim the excellencies of him who called you out of darkness into his marvelous light. Once you were not a people, but now you are God’s people; once you had not received mercy, but now you have received mercy. There is no mistaken identity here, and I know who you are: You are a child of the King. There are some circumstances in life that are difficult to endure and hard to comprehend. When you feel like you’ve been singled-out and beaten down, keep in mind that people everywhere, regardless of race, religion, or riches, deal with problems of tragedy, injustice and suffering. 8:18: I consider that the sufferings of this present time are not worth comparing with the glory that is going to be revealed to us. 8:26-27: Because we do not know what to pray for the Spirit intercedes for us according to the will of God. 8:31-32: If God is for us, who can be against us? He that did not hesitate to spare his own Son but gave him up for us all—can we not trust such a God to give us, with Him, everything else that we can need? 8:35: Can anything separate us from the love of Christ? Can trouble, pain or persecution? 8:38-39: I have become absolutely convinced that neither death nor life, neither messenger of Heaven nor monarch of earth, neither what happens today nor what may happen tomorrow, neither a power from on high nor a power from below, nor anything else in God’s whole world has any power to separate us from the love of God in Jesus Christ our Lord! What I’ve said is more than theory. Paul said it is something that we can know. Paul’s faith had been tried and proven, and he said: “And we know ” The heartache, trials and tragedies that Paul endured did not weaken his resolve; they matured and strengthened his faith. 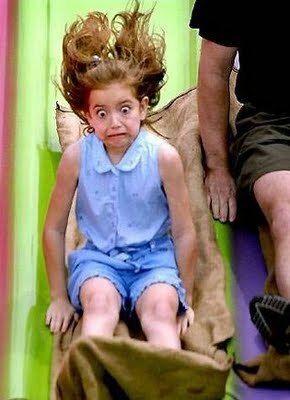 Is Your Life An Emotional Roller Coaster? Do you feel like your life is a strapped in and buckled down roller coaster ride that snaps your neck and fills your belly with butterflies? If you feel like your life is a bone-crushing ride from thin-aired heights to the stifling heat and the stagnant air in the valley below, you may be wrapped in the chains of worry. When you went to bed last night, did you worry that you might not be able to get to sleep or did you worry that you might not be able to wake up? Did you worry that you left a light on or the nightlight off? Worry affects the circulation, the heart, the glands, the whole nervous system, and profoundly affects the health. I have never known a man who died from overwork, but many who died from doubt. The Message: Don’t fret or worry. Instead of worrying, pray. Let petitions and praises shape your worries into prayers, letting God know your concerns. Before you know it, a sense of God’s wholeness, everything coming together for good, will come and settle you down. It’s wonderful what happens when Christ displaces worry at the center of your life. The Amplified Bible: Do not fret or have any anxiety about anything, but in every circumstance and in everything, by prayer and petition (definite requests), with thanksgiving, continue to make your wants known to God. And God’s peace [shall be yours, that tranquil state of a soul assured of its salvation through Christ, and so fearing nothing from God and being content with its earthly lot of whatever sort that is, that peace] which transcends all understanding shall garrison and mount guard over your hearts and minds in Christ Jesus. Don’t let the roller coaster of worry control your life. Go to Jesus and trust Him so you can be worry free. As the old hymn says: Take the name of Jesus with you.